The rumours are true. 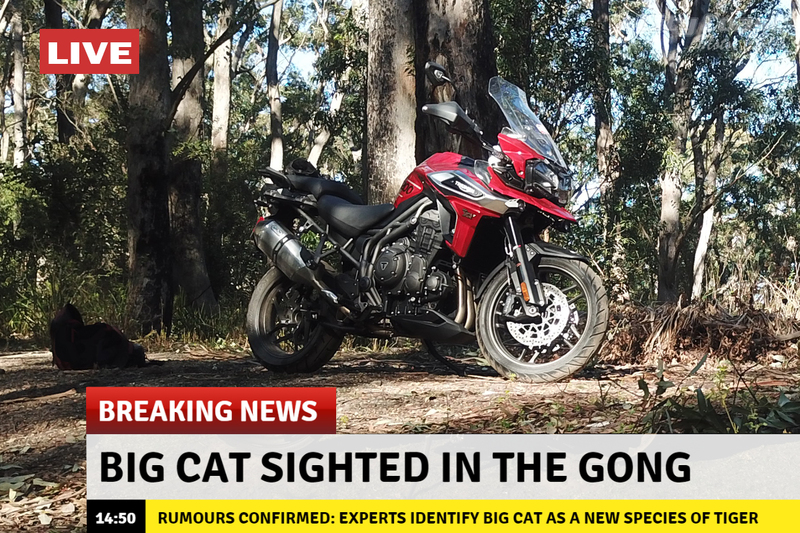 Photographic evidence has been submitted to The Wollongong Daily that a big cat has been sighted in the Illawarra escarpment. “What a beauty. It is amazing to see such a majestic and rugged creature in the wild. It looked perfectly at home, traversing the dirt roads and soaking in the views,” said an undisclosed source. Large numbers flocked to City Coast Motorcycles in Keira Street on Saturday on news they could experience the tiger in person.